Every new student of Grace Martial Arts begins as a White Belt in Yon Ch’uan Martial Arts. Each belt and stripe includes a memory verse and character qualities and martial arts techniques. The time between belt testings below Black Belt is usually three months of continual classes. If a student comes into the GMA program and has previous martial arts experience and proof of rankings (certificates, letters from previous instructors, etc. ), they may be promoted more rapidly in Yon Ch’uan. The final decision about ranking and testing is determined by your GMA instructor. We want children to be strong of body, mind and spirit. Each class begins with prayer and a time of exercise for health and fitness. Children will learn about showing respect to their parents, teachers and fellow students. 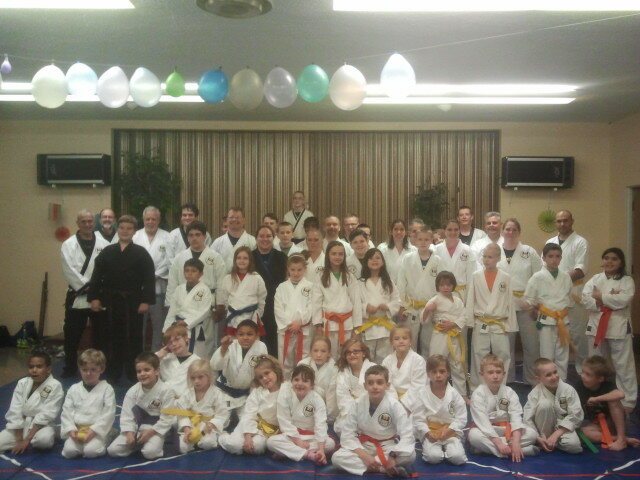 Students will receive a certificate and colored belt with each new numbered kyu or dan rank. They will receive one or more stripes on their colored belt between numbered rankings (except for belts that do not have a stripe). Our prayer is the time students spend thinking about God’s Word, becoming like Christ and learning to defend themselves and others with honor and integrity will become an important part of how God builds their life and prepares them for the mission He has for them. If you would like more information about Grace Martial Arts classes in your area, contact Senior Instructor Mark McGee at gracemartialarts1@gmail.com.